All you need is to take your brushes! And also virtual galleries of painters who have painted in Giverny. It is a many artists' dream ! But keep in mind that the place is very busy. Up to now, as far as we know, it is not strictly forbidden to sit on a bank to draw, as long as other visitors don't mind. However Fondation Claude Monet informs that the access is strictly denied to anybody coming with painting material. 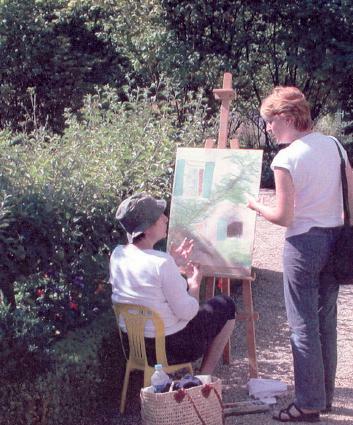 Painting sessions are available to offer English or French speaking artists and photographers the opportunity to study paint and photograph on-location in Claude Monet's gardens, and around his beloved village of Giverny, France. You've been in Giverny to paint ? Tell us your experience ! We will put you contribution on-line. Improve your Watercolor skill and/or discover Chinese Painting on Rice Paper. 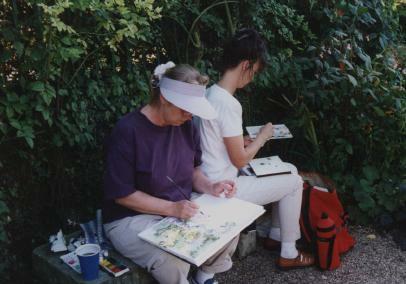 also proposes painting sessions in Giverny. 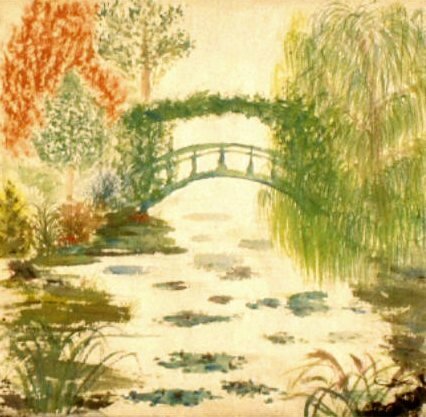 André Tissot, landscape painter, focuses on Monet's gardens in Giverny. Visit his gallery. Yaromira Krason Netter, watercolorist, lives near Giverny. Visit her gallery. Nathalie Kaczkowski, watercolorist, paints flowers and portraits.Visit her gallery. Hélène Lazarini, pastelist, brought portraits back from her travels around the world. Visit her gallery. Miraï paints flowers and landscapes the very subtle " Chinese painting-free style " way. Visit her gallery. 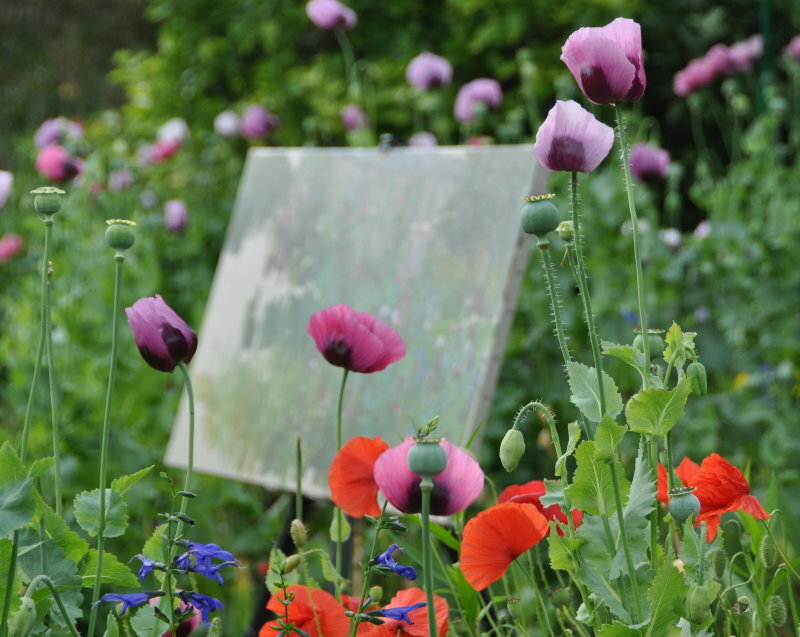 Read Diane Johnson's impressions after several weeks painting in Monet's garden. Cheryl Miller creates miniatures of Monet's House and garden. See H Duane Corn sketch of Vernon's Old Mill. 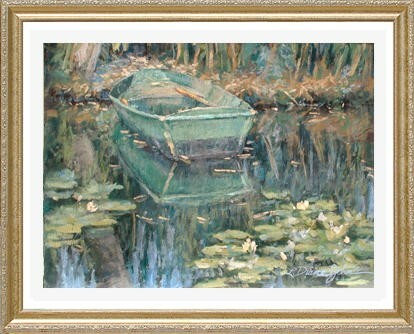 Discover Diane Burko's paintings on Monet's lillypond.